"People first; be courageous; do the right thing & fun and laughter"; these are the values we live by at Harcourts Cornerstone. We understand that selling or buying a home can be potentially stressful. That is why our staff is dedicated to providing you, our client and customers, the best, most professional and stress-free experience possible. With the state-of-the-art Harcourts technology behind us, and our fabulous energetic staff at the forefront, the service you will receive will be second to none. At Harcourts Cornerstone we take our responsibilities to our clients incredibly seriously. With our upfront, close and personal selling style, we believe we stand out from the crowd. WHY REAL ESTATE? Dina Anvari became an Estate Agent by sheer serendipity – she had a brief foray into the industry in the early ‘90s, but decided it wasn’t what she wanted to do. When she placed her business on the market in the early 2000s and a friend suggested she would do well as an agent, she followed the link through the consulting agent from Cornerstone. The rest is history! WHY HARCOURTS? Dina values the leadership provided by Harcourts immensely and believes strongly that Harcourts embodies the values they espouse. She also finds great benefit in the on-going coaching and training. This is a facet that truly sets Harcourts apart from their competition. DINA’S COMMITMENT TO THE COMMUNITY Dina has an active presence in her community, and backs up any initiative started by the Harcourts Offices in the area. She is personally involved in a Youth and Junior Youth Development Program, whereby young people are taught and encouraged to set a firm foundation in values and ethics that will assist them to map a better future for themselves. DINA’S EXPERIENCE YOUR ADVANTAGE In her 14+ years’ experience, now as a Principal, she has gathered a wall full of certificates, awards and accolades, and helped countless families through the process of selling and buying a home. She works together with Lance Gouws and their team of over 20 agents, all equipped to provide excellent support and service to their clients. She has taken a proactive approach to encourage and enable agents from a previously disadvantaged background, mentoring and training them to become world-class agents. WHY REAL ESTATE? Ethel has a passion for property and enjoys dealing with and meeting people. Mostly, she enjoys the rewarding feeling when a real estate deal is successfully concluded and both the seller and buyer are happy with the outcome. WHY HARCOURTS? Harcourts is an international company with top class training. The systems and technology from Harcourts are the best. The H1 program that all our offices use is rated independently as the top Real Estate program in the world. She prides herself on excellent delivery of the Harcourts Promise, a written commitment of service excellence with weekly feedback to sellers, including buyer comments and internet hit reports, showing how the market is reacting to the property – all in order to get the property sold in the shortest possible time at the best price the market is prepared to pay. WHY HARCOURTS CORNERSTONE? Harcourts Cornerstone is an established company that has been operating in East London for nearly 40 years. It is a family owned business based on ethics and good morals. 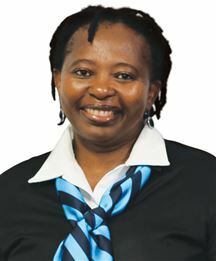 ETHEL’S EXPERIENCE YOUR ADVANTAGE Ethel is well-known in East London and has successfully worked in real estate for more than 11 years. She excels at keeping our admin up-to-date so that she is able to help all our clients to the best of her ability. WHY REAL ESTATE? Lance Gouws states that Real Estate is a fundamental human need, offering security of tenure and a home that is the start of the family circle. Deep emotions arise from owning a home and it is a privilege to be part of the process; he knows how very important this is to people. WHY HARCOURTS? With over 20 years of industry experience, Lance has found no finer brand, and no other company truly lives its value system. WHY HARCOURTS CORNERSTONE? Lance’s father started Cornerstone in the ‘70s and handed the reins over in the early ‘00s. Lance was willing and excited to drive the business forward because he is passionate about property and people. LANCE’S COMMITMENT TO THE COMMUNITY Lance finds it fulfilling to be able to give back to the community on various levels. The Harcourts offices in the Border area sponsor a vehicle for the use of the East London Children’s Home, to transport the children to school and other activities. Lance has also been personally involved in drives to gather food and basic essentials for several of the old age homes in East London. The Harcourts Foundation also benefits from his support, and great goals have been fulfilled across South Africa. LANCE’S EXPERIENCE YOUR ADVANTAGE In his 20+ years’ experience, with 12 as a Principal, he has gathered a wall full of certificates, awards and accolades, and helped countless families through the process of selling and buying a home. He has gathered a team of over 20 agents, all equipped to provide excellent support and service to their clients. He has taken a proactive approach to encourage and enable agents from a previously disadvantaged background, mentoring and training them to become world-class agents. To this end, he seeks out every opportunity to provide bursaries to take them closer to qualification. He walks the walk where many just talk the talk. WHY REAL ESTATE? When Robyn met the Gouws family, Cornerstone was a successful business. Over the years, she has learned so much about real estate by osmosis, and eventually it was a natural progression for her to join her husband, Lance Gouws, in his business. WHY HARCOURTS? When Harcourts was first presented to the Gouwses, the training aspect was something Robyn found very exciting. She believes that we should all keep learning for our entire lives, so the advanced programs offered by Harcourts answered that need in her. WHY HARCOURTS CORNERSTONE? As part of the family, Robyn was 100% positive and excited when Cornerstone made the transition to Harcourts. She finds it exciting to be part of a fast-growing international brand! 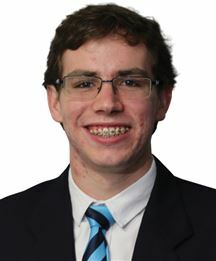 ROBYN’S COMMUNITY INVOLVEMENT Robyn is committed to the Harcourts Foundation initiatives, and specifically backs Lance Gouws in his contributions to the East London Children’s Home and any other Harcourts project that comes along. ROBYN’S EXPERIENCE YOUR ADVANTAGE Robyn has worked with Lance as a Principal, Office Manager and Trainer. Together with all the experience in the Harcourts Cornerstone team, we’re able to make a difference in your life! WHY REAL ESTATE? Belinda was motivated to find a career, which suited her independent and hard-working personality. When the opportunity to become an estate agent presented itself, she very happily took it – and has never looked back. Belinda finds real estate an exciting industry to be in and loves to help people realise their dream of owning property. WHY HARCOURTS? Belinda’s skills have benefited from her time at the Harcourts Training Academy, enabling her to become a certified estate agent. WHY HARCOURTS CORNERSTONE? Being an estate agent is rewarding - although it requires a lot of hard work, perseverance, a good team and a great principal to be successful. Luckily Harcourts Cornerstone has all these magic ingredients and has helped her to become the accomplished estate agent she is today. BELINDA’S COMMUNITY INVOLVEMENT Culture is a concept that is also close to her heart; Belinda has held the position as Chinese Secretary for the Chinese Association of South Africa (CASA) at the East London branch since 2005. CASA is a non-governmental organisation (NGO) that is dedicated to assisting South African, Chinese people with awareness of their heritage, culture and language. BELINDA’S EXPERIENCE YOUR ADVANTAGE Belinda has worked in customer services ever since she moved to South Africa from Mauritius in 1985. In her opinion, language and communication is essential to her business. Belinda is multilingual and fluent in three main languages: English, French and Chinese. WHY REAL ESTATE? Brienne has a love for homes and architecture. She loves working with people. WHY HARCOURTS? Harcourts is at the forefront of technology and is constantly improving. The system Harcourts has is incomparable with anything else. Harcourts is a global company and enables us to offer cutting-edge technology and service, which makes us the best in the world. WHY HARCOURTS CORNERSTONE? Brienne’s mother has been working for Harcourts Cornerstone since Brienne was at school, and she spent most of her time after school at the office where she got to know the amazing people who work there and the basics of real estate. To Brienne, Harcourts Cornerstone is like her second family. WHY REAL ESTATE? Buks Smith has a love for people and finds it very rewarding assisting people in acquiring their dream property. He also enjoys the freedom and financial rewards that accrue to an Estate Agent. WHY HARCOURTS? Because Harcourts is an International Agency with world-class training and support which sets the benchmark in the industry, Buks says that the decision to join Harcourts was a no-brainer. WHY HARCOURTS CORNERSTONE? Buks says that Harcourts Cornerstone is a well-established family business with passion for their clients and staff, which creates fantastic teamwork. The Principals, Lance and Dina, and the rest of Cornerstone staff, live out The Harcourts values, being: People first, Doing the right thing, Being courageous and Fun and Laughter. Which other industry offers all of that? BUKS’ COMMITMENT TO THE COMMUNITY The fight against cancer is close to Buks’ heart due to several family members being diagnosed with this dreaded decease. He is regularly involved with fundraisers and awareness campaigns in support of the fight against cancer and cancer patients. 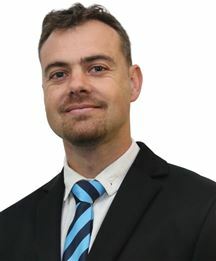 He asks the challenging question: “Would you join me?” BUKS’ EXPERIENCE YOUR ADVANTAGE Buks has many years working experience in the Financial industry, with experience in one of S.A.’s leading Financial Institutions and 3 years with another Estate Agency group. With this background coupled with knowing East London well (due to growing up here! ), Buks can offer his clients the necessary support and service in their property dealings. WHY REAL ESTATE? I have a passion for property and enjoys dealing with and meeting people. Mostly, I enjoy the rewarding feeling when a real estate deal is successfully concluded and both the seller and buyer are happy with the outcome. WHY HARCOURTS? Harcourts is an international company with top class training. The systems and technology from Harcourts are the best. The H1 program all our offices use is rated independently as the top Real Estate program in the world. The buyer matching technology on H1 that matches properties to a database of buyers at the touch of a button is not available through any other company. We also have the Harcourts Promise, a written commitment of service excellence with weekly feedback to sellers, including buyer comments and internet hit reports, showing how the market is reacting to the property – all in order to get the property sold in the shortest possible time at the best price the market is prepared to pay. WHY HARCOURTS CORNERSTONE? Harcourts Cornerstone is an established company that has been operating in East London for nearly 40 years. It is a family owned business based on ethics and good morals. CHRIS’ EXPERIENCE YOUR ADVANTAGE Chris is well-known in East London and has successfully worked in real estate for nearly 10 years. He has found homes for many families, and the high quality of his professional paperwork is well known among top conveyancing companies in the Border area. "I love what I do and I am good at it too." "ENTHUSIASM. INTEGRITY. RESULTS"
WHY REAL ESTATE? When Denzil decided to start Cornerstone in the 1970s, it was time for a change in what he and his wife, Joyce, were doing. He wanted to be his own boss, to have flexible hours and to have an above-average income. Real Estate fitted the bill. WHY HARCOURTS? When the decision was made to join Harcourts, Denzil's son, Lance, was executive Principal of the company. Lance was impressed with the Harcourts offering, and Denzil could see why he was excited to become part of an international group. WHY HARCOURTS CORNERSTONE? Cornerstone needed to become part of the bigger picture, not just a small family business, but part of an international family. Harcourts' principles and values, ethics and relationships, and astounding technology platform and systems showed the way forward. DENZIL'S EXPERIENCE YOUR ADVANTAGE Denzil has many years hands-on experience, both in sales and in running the business. His wide network of friends, acquaintances and business connections will work to your benefit. WHY REAL ESTATE? There is nothing more rewarding than helping someone finally find the home they have always wanted, as an agent you know the in's and out's of your community and have more specific knowledge. Your clients can rely on you to be their trusted advisor because you are the expert in helping them find the home they have always wanted. WHY HARCOURTS? It is an International Agency with support and training. WHY HARCOURTS CORNERSTONE? It is a well established family business with passion and fun. I have found fantastic teamwork with Harcourts Cornerstone Principals and the rest of the staff. They are doing the right things and respect and trust each other. 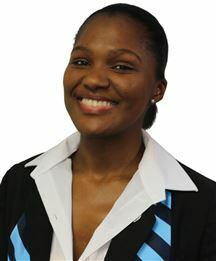 KHANYISA'S EXPERIENCE YOUR ADVANTAGE I have three years background work experience in the Marketing industry. I started at Harcourts Cornerstone as a personal assistant for one of the qualified agents, got familiar with the systems and learnt more about the up's and down's of the business. WHY REAL ESTATE? Leigh Jacobsen chose real estate as a career for its flexibility, challenges and excitement. She read a Confucius quote that says: ‘Choose a job that you like and you never will have to work a day in your life’, and she loved the idea of getting up for work with enthusiasm! WHY HARCOURTS? Harcourts has a very simple focus and purpose – ‘We create success’. Leigh believes in Harcourts’ positive, fresh approach to business. WHY HARCOURTS CORNERSTONE? Harcourts Cornerstone takes their responsibilities to their clients incredibly seriously. With their upfront, close and personal selling style, Leigh fits right in to the Cornerstone family! LEIGH’S COMMUNITY INVOLVEMENT Leigh has been involved with an outreach programme organised by the Lilyfontein School foundation phase to supply school lunches to the local Nkwezana public school. Leigh has also been involved in Reach for a Dream Foundation and the children’s cancer ward at Frere Hospital. LEIGH’S EXPERIENCE YOUR ADVANTAGE Leigh has an international and cross-cultural background as well as excellent listening skills, vital for interpersonal communication. She worked in public relations and small business and has a knack for problem solving, really handy in the real estate world!! WHY REAL ESTATE? Marion Hannbus joined real estate due to a combination of having a passion to assist people in a diverse society and to use the opportunities to make a difference whilst such clients make the largest investment of their lives. WHY HARCOURTS? Marion felt that Harcourts fitted her own core values - an international franchise, in the industry for over 125 years, with 2 of their 4 values being “people first” and “doing the right thing”. Their global collaboration ensures the utmost quality of training in keeping abreast with current changes in the market. WHY CORNERSTONE? Once again, Marion planted herself with a market leader, with more than 40 years of expertise in East London. What better way to learn from the best than to work with the best! COMMUNITY AND CHARITY INVOLVEMENT Marion is always willing to lend a helping hand in support of charities in the community. She supports the Mercy ministry at her local church with food parcels and clothing which are distributed to those who are in need at the weekly soup kitchen. She has also been involved with Reach for a Dream and assisted with a fundraiser for The Manor old age home and Langham house. MARION'S EXPERIENCE IS YOUR ADVANTAGE Marion spent over 20 years in the financial services industry before joining Harcourts Cornerstone. Being an accredited estate agent, having passed the NQF4 , 14 years of experience and numerous awards, this has re-affirmed Marion’s passion for guiding families through the buying and selling process and making the journey the smoothest ride possible. Real Estate is a field that has great potential of growth, which is also attached to one's personal development, broad knowledge of property industry, lifestyle, financial freedom, etiquette etc. Harcourts is an internationally or globally recognised entity, with performance tools to ensuring and enabling best product delivery to our clients. A company to be reckoned proudly with. WHY HARCOURTS CORNERSTONE? At first it was simply a word of mouth information. On paying more attention to where it is in terms of performance, it sure engraved a level of belief that anything is possible. An office packed with awesome experienced team members. WHY REAL ESTATE? Penny decided to join real estate for 3 reasons: -	She is not afraid to put in the hours, nor afraid of hard work, -	She can earn more than she would in a 9-5 job, and -	It is far more rewarding than any other work, being part of someone’s decision to own their own home. WHY HARCOURTS? Harcourts is a brand that offers so much: -	Harcourts is international -	The Harcourts Training Academy is an industry leader -	The Harcourts Value system is one she feels she lives by. WHY HARCOURTS CORNERSTONE? Penny says that the decision was simple! Her choice is: -	a company that is established in the real estate industry, -	a business based on family values, where she finds she is treated as family and not just a number, and -	an estate agency whose reputation is based on ethics and good morals. PENNY’S COMMITMENT TO THE COMMUNITY Penny is involved in a new venture called “Clothing for Kidz”, which collects & delivers clothing to under-privileged children. PENNY’S EXPERIENCE IS YOUR ADVANTAGE Penny has been in the real estate industry for 8 years, and has been able to establish a successful career, where she has helped many families realize their dream of finding the perfect home. She has been able to develop close friendships with many of her clients, and they continue to refer their friends and acquaintances to her, confident of a great result! WHY REAL ESTATE? Saira Meeajane believes that the Real Estate profession has expanded and offers one of the widest career selections in the business world today. Keeping in this mind, she has opted for a career change and decided to work in real estate. A career in Real Estate provides flexibility and the freedom to set your own pace. She is a goal orientated, persevering, self- motivated, ambitious person who is also people orientated - exactly the characteristics a Real Estate agent needs! Working in the Real Estate profession offers the opportunity to meet a wide range of people while carrying out a variety of different task and responsibilities. It can be very satisfying to assist people with important decisions such as buying a house in order for them to have a perfect home where they can create their own memories. WHY HARCOURTS CORNERSTONE? Harcourts Cornerstone is a very reputable company and is well known for its unbelievable service delivery. She is proud to be given the opportunity to work for Harcourts Cornerstone, a winning company with a winning team, proven by a substantial number of awards in different categories. It is also nice to be part of a team that has so many satisfied clients and where people’s happiness is first priority. SAIRA’S COMMITMENT TO THE COMMUNITY Saira is personally involved in a number of charities situated in and around the townships of East London. She has also made the commitment to be involved with the cancer kids at Frere Hospital. SAIRA’S EXPERIENCE YOUR ADVANTAGE With a combined 15 years of experience in Corporate Client Service, she has served and understood her clients’ needs. She has extensive experience in Micro lending, finance and banking, which assists her in guiding both buyers and sellers. THE MENTORSHIP PROCESS Belinda Sing Gen is mentoring Saira as she embarks on her new career. Belinda is very talented and she is an extraordinary lady who will go the extra mile for her client, to make sure they are satisfied. She has collected numerous awards for her spectacular achievements. WHY REAL ESTATE? Sandy finds it very rewarding to assist people with finding their biggest asset they will ever own, their “Dream Home”. WHY HARCOURTS? Harcourts is an International Agency with world-class training and support, and with values that Sandy stands by. WHY HARCOURTS CORNERSTONE? Harcourts Cornerstone is an amazing family-orientated company, with principals Lance and Dina, and a team of more than twenty agents, of which Sandy is very proud to be a part. PREVIOUS EXPERIENCE Sandy started in real estate back in the eighties when she joined Tudor Estates and while working under principal Keith Roberson, completed the Board Exam; thereafter she worked with Frans Strauss Estates. Sandy has been running a small marketing business from home for over 5 years, specializing in corporate clothing, banners, gifts etc. WHY REAL ESTATE? Sazi’s passion is being a part of someone's life and seeing people achieve their lifelong dream of owning a home. Joy and happiness to each and every client are the two emotions he needs to see in his clients. The positive energy amongst both willing seller and willing buyer are the foundations of his business. Real Estate is not only about selling and buying but a consultant is part of someone’s lives, someone’s investment and future to a certified client. WHY HARCOURTS? Sazi is happy to belong to the fastest growing Real Estate company in the world. Our values, people first, do the right thing fun and laughter and being courageous are not just for consultants but even for our clients. The Harcourts One system is the best in the world and the Harcourts Promise gives our clients an added advantage in the competitive market and the right to demand above average service from Harcourts consultants. WHY CORNERSTONE? Sazi loves being part of the only agency that has more than 20 consultants in our area - agents who work together striving for excellent client service. He is proud that Harcourts Cornerstone is the number ONE selling Real Estate company in all areas in our market area and the best by far. WHY REAL ESTATE? 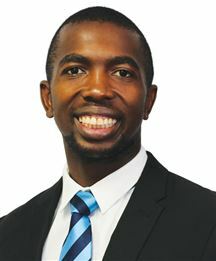 Vuyo says that while some may think real estate is all about selling houses, there is more to it. It branches off into many other sectors, from banking, conveyancing and advertising to marketing, etc. He has a marketing background which he finds very useful. He believes that what makes real estate special is the service one is selling to people. One works on flexi-time. Real Estate teaches the agent concerned time management, people skills and business ethics. In Real Estate he has learned to kill a lot of things with one stone. WHY HARCOURTS? For Vuyo, some of the highlights include: They have the Rolls Royce of systems with tools like H1 and eCampaign to mention just two of the many offered The academy training and the weekly in house training The values that guide agents; putting people first, doing the right, being courageous and fun and laughter. The endless support. WHY HARCOURTS CORNERSTONE? Vuyo finds Harcourts Cornerstone is a fit for him because of the following: Camaraderie amongst the colleagues A very welcoming and caring bunch. He was positively influenced from the outset. 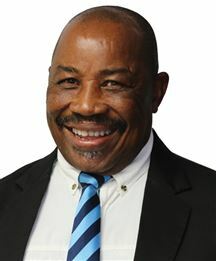 The guidance that is given by the principal, mentors and older staff members VUYO’S COMMUNITY INVOLVEMENT He has assisted in the Harcourts MTB Challenge which raises funds for a School in the Wild Coast, and aspires to participate in it years to come. WHY REAL ESTATE? Winnie had been out of work for 5 months early in 2004, and was down to her last R2 of air time on her cell phone, when she replied to a smalls ad in the local paper for a Personal Assistant to Dina Anvari of Harcourts Cornerstone. WHY HARCOURTS? Winnie enjoys working in the Harcourts environment, achieving her goals, meeting new people, working with the other agents and viewing houses in all the areas of East London. WHY HARCOURTS CORNERSTONE? Dina invited Winnie in for an interview and she was the successful candidate – she started 10 days later and has been with Harcourts Cornerstone ever since! COMMUNITY INVOLVEMENT Winnie is actively involved in cancer fund-raising events, working with her son-in-law to raise awareness and funding. WINNIE’S EXPERIENCE YOUR ADVANTAGE Winnie has worked in sales ever since leaving school and has achieved many milestones and goals over the years. Angela is our capable admin lady, processing deals and handling all the financial transactions for approval by the boss... it's a really busy position because Harcourts Cornerstone is a really busy real estate office! WHY REAL ESTATE? When Joyce’s husband, Denzil, decided to start Cornerstone in the 1970s, it was time for a change in what they were doing. They wanted to be their own bosses, to have flexible hours and to have an above-average income. Real Estate fitted the bill. WHY HARCOURTS? When the decision was made to join Harcourts, Denzil and Joyce’s son, Lance, was executive Principal of the company. Lance was impressed with the Harcourts offering, and they could see why he was excited to become part of an international group. WHY HARCOURTS CORNERSTONE? Cornerstone needed to become part of the bigger picture, not just a small family business, but part of an international family. Harcourts' principles and values, ethics and relationships, and astounding technology platform and systems showed the way forward. Flat going for a song! A must see in Cambridge! Neat 2 Bedroomed house in Nu9! Shop for sale! A must go!!! !